After a few quiet weeks, the animation home entertainment releases are strating to pick up again. So there's lots to choose from for readers on both sides of the pond. In the UK Nora Twomey's masterpiece, The Breadwinner arrives, alongside an excellent selection of anime and re-issues of several DreamWorks Animation boxsets. The US meanwhile receives another crop of anime releases from the busy folks at Discotek including DVD releases of Devilman and Angel Cop- previously released on Blu-Ray last month. Cyberpunk classic Bubblegum Crisis is also released on Blu-Ray from AnimEigo- available for the first time to non Kickstarter backers. Angelic Layer- Collector's edition (Anime Limited, PG) CLAMP created anime. Asterisk War Part One (MVM, 12) Sci-fi anime action. 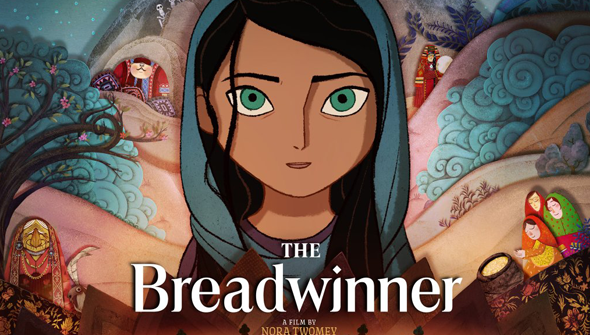 Breadwinner, The (Studio Canal, 12) Nora Twomey's Oscar-nominated drama. Read our Review here. Digimon Tamers Season 3 (Manga Entertainment, PG ) Digimon are the champions. Dragons: Defenders Of Berk Part One (DreamWorks, PG) TV Spin-Off. Dragons: Riders Of Berk Part One (DreamWorks, U) TV Spin-Off. Dragons: Riders Of Berk Part Two (DreamWorks, PG) TV Spin-Off. DreamWorks: Spooky Story Collections (DreamWorks, PG) Halloween specials. How To Train Your Dragon Movie Collection (DreamWorks, PG) The original two beloved films. Fate Stay Night: Unlimited Blade Works Part One (MVM, 15) Action anime saga. Kung Fu Panda 3 Film Collection (DreamWorks, PG) Complete Trilogy collection. Kung Fu Panda: Good Croc, Bad Croc (DreamWorks, U) Collection of episodes of the TV spin-off. Kung Fu Panda: Scorpion Sting (DreamWorks, U) Collection of episodes of the TV spin-off. Madagascar: The Complete Collection (DreamWorks, PG) Complete Trilogy collection. Madagascar & Penguins of Madagascar: The 4-Movie Collection (DreamWorks, PG) Complete Trilogy collection, plus The Penguins Of Madagscar spin-off movie. Madly Madagascar (DreamWorks, PG) Valentines themed short. Scared Shrekless: Spooky Story Collections (DreamWorks, U) Halloween specials. Shrek 4 Movie Collection (DreamWorks, U) The smash-hit original movie series. Sound Euphonium- Collector's Edition (Anime Limited, PG) Kyoto Animation's acclaimed slice-of-life anime. Steamboy (Manga Entertainment, PG) Katsuhiro Otomo's visually stunning return. When They Cry- Series One Collection (MVM, 15) Anime melodrama. Angel Cop (Discotek Media). Ultra-violent 90's anime OAV series. Brave Witches; The Complete Series* (Funimation,) Warring witches fight in this fantasy anime series. 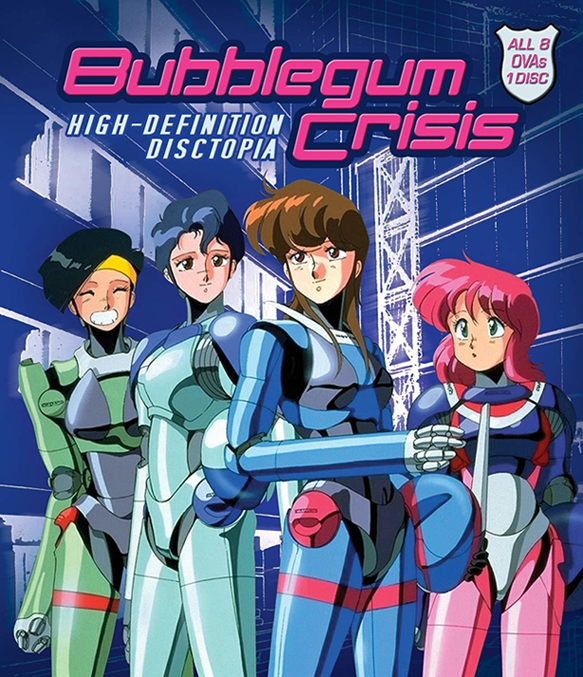 Bubblegum Crisis: High Definition Disctopia (AnimEigo) The classic 80's Cyber-punk anime gets a HD release. Depatie / Freleng Collection 2, The (Kino Lorber) Box-set collection of Friz Freleng theatrical shorts, including Crazylegs Crane and Hoot Kloot. Devilman: The Complete OAV Series (Discotek Media) The 1987-1990 video series based on Go Nagai's manga classic- complete with the infamous 90s Manga Video dub. Gintama- Season Three Part One (Funimation, TV-14) Shonen anime. High School DxD Born: Season Three* (Funimation) Fan-service heavy action anime. Marmalade Boy: The Complete Series (Discotek Media) 90's romantic anime. Princess Principal Complete Series (Sentai Filmworks) Spy drama and sci-fi mix set in an alternate history Early 1900s Britain. Reborn! Volume One (Discotek Media) Anime featuring a fearsome assassin- who happens to be a baby. Scum's Wish Complete Collection (Sentai Filmworks, TV-MA) Twisted romance. Shimoneta A Boring World Where the Concept of Dirty Jokes Doesn’t Exist*(Funimation, TV-MA) Raunchy anime comedy. Stellvia The Complete Series (Disckotek Media) Sci-fi anime. Tetsujin 28: The Complete 2004 Series (Discotek Media) Adaptation of the classic giant-robot manga. Tokyo Ghoul: The Second Season (Funimation) Horror anime. Worldend: What Are You Doing at the End of the World? Are You Busy? Will You Save Us? (Funimation) Yes, that's the real title. ✪ SD Blu-Ray Titles are presented on Blu-Ray Format in Standard Definition. There may be compatibility issues with some Blu-Ray players. 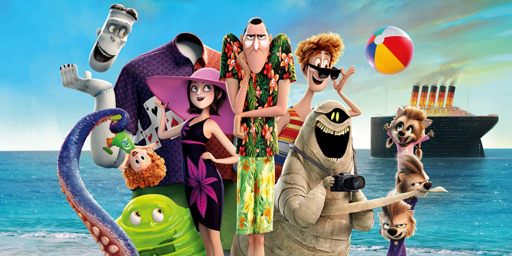 Hotel Transylvania 3: Summer Vacation (Sony Pictures, PG) Dracula goes on a cruise, as the third film in animation legend's Genddy Tatakovsky popular trilogy is available to buy digitally in the US (via iTunes, Amazon, PlayStation Store and more) from September 25.